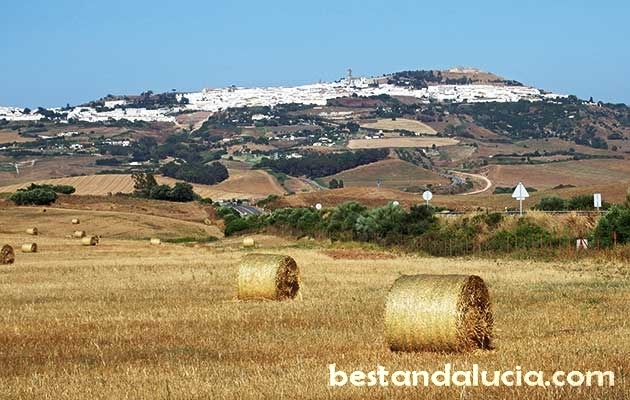 Medina Sidonia is picturesquely located on Cerro del Castillo, the highest elevation of the region which generally tends to be flat in that part of the province. The town is conveniently located half an hour’s drive from Cadiz and Jerez de la Frontera, however, it still remains unspoilt by tourism even in high season. As one of the oldest cities in Europe, Medina Sidonia was founded between 1300 and 700 BC and was later occupied by Phoenician settlers. 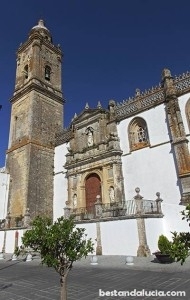 In the 15th century Medina Sidonia belonged to the family of Guzmans. It was one of the most prominent and affluent of the noble families in the medieval Spain. Under the Guzmans, Medina Siodnia reached its greatest splendour. The seventh Duke of Medina Sidonia is remembered in the history books as the man who led to defeat the Spanish Armada of 1588. Medina Sidonia was also the Andalusian capital of sweets, especially known for the Alfajores, cakes made of almonds, hazelnuts, honey and spices. From the Middle Ages, Medina Sidonia remained important ducal seat. Today it’s the official seat of Luisa Isabel Alvarez de Toledo, the 20th Duchess of Medina Sidonia. 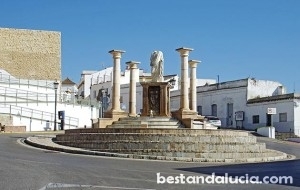 The most popular attractions in medina Sidonia include the 13th century Castle, Church of Saint Mary the Crowned, Arab Castle of Torrestrella, impressive Ducal Stables, 17th century Town Hall as well as beautiful Plaza de España. It is also worth visit local restaurants offering great tapas and traditional Spanish dishes.